Mike Ragsdale is the founder and CEO of 30A, a lifestyle brand inspired by the 30A highway that runs along Florida’s Gulf Coast. 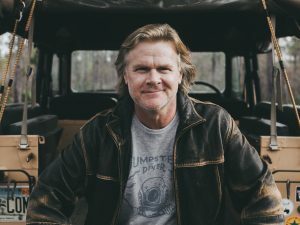 Since building the 30A business, Ragsdale has spent his time exploring the world, inspiring others and living the life he has always imagined for himself. With 30A being a national success, he hopes to one day establish it as an international brand that celebrates life in small beach towns. Ragsdale said he knew as long as he believed in himself he would inevitably succeed as an entrepreneur, despite the risks. At The University of Alabama, Ragsdale was a communication studies major and actively involved in Ad Team. While pursuing his master’s degree in advertising and public relations, Ragsdale served as a graduate teaching assistant for professor Dr. Gonzenbach, his mentor and future business partner. Although Ragsdale believes hard work is an integral key to success, he encourages students to enjoy the undergraduate experience and remember their purpose in life is to be happy. Ragsdale also advises students to avoid letting work dictate personal aspirations.